The Cabinet Office has extended its ICT strategy public consultation on open standards after learning its facilitator was being paid by Microsoft. The Cabinet Office has extended the public consultation over its open standards ICT strategy and scrapped some previous proceedings after learning its independent facilitator was being paid by Microsoft, which was lobbying against UK policy. Cabinet Office minister Francis Maude put the open standards policy – the cornerstone of his ICT strategy – on hold in November after lobbying from Microsoft, and left the matter to be settled by a public consultation that was due to close next Thursday. Andrew Hopkirk – a former director of technology at the National Computing Centre, who presented himself as an independent consultant – had facilitated a public consultation meeting that recorded an outcome in accord with Microsoft's position and subsequently attracted accusations of bias. Liam Maxwell, Cabinet Office director of ICT futures and the new deputy government CIO, said last night the consultation had been extended for a month after learning that Hopkirk had a conflict of interest and was in fact also working with Microsoft. "He did not declare the fact that he was advising Microsoft directly on the open standards consultation," said Maxwell in a statement. "We asked Dr Hopkirk for an explanation and he has told us that he has not been paid to specifically write their response to the open standards consultation but he is engaged to help them tease out the issues. "This could be seen as a clear conflict of interest and should have been declared by the relevant parties at that meeting." Details of Hopkirk's business with Microsoft first emerged in Computer Weekly. Microsoft had during closed meetings last year requested the Cabinet Office policy on open standards be revised to accommodate Microsoft's definition of an open standard. The official UK definition of an open standard had been in place since January. Cabinet Office retracted the policy after Microsoft's requests, and under lobbying pressure Microsoft placed through MPs. The subsequent public consultation put the question of the UK definition of open standards up for debate. Hopkirk had been quick to deny accusations that the meeting he facilitated had been biased, and to repudiate the suggestion that it had been overwhelmed by powerful supporters of Microsoft's position. A Computer Weekly investigation subsequently found Hopkirk and three other people at the meeting were core members of a Microsoft-sponsored industry consortium convened to lobby governments to adopt their ICT policy. His cohorts at the meeting included: Steve Mutkoski, Microsoft's worldwide policy director; Chris Parker, former deputy e-Envoy in the last Labour government's Cabinet Office; and Peter Brown, a director of the Oasis industry consortium on secondment from the European Commission. John Borras – Cabinet Office director of technology under Labour and now chair of the Microsoft consortium committee – told Computer Weekly the group had been speaking openly with the coalition Cabinet Office about its ICT strategy. The Cabinet Office also put out to consultation the question of whether it should retain its policy to shop for computer systems according to the standards they used. 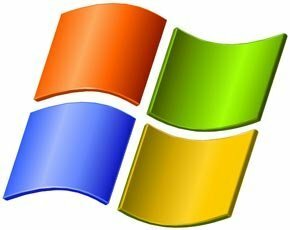 This has become known as mandation and has been opposed by Microsoft and Hopkirk. Maxwell said Hopkirk was a "a respected advocate for openness and interoperability" and had been employed on a pro-bono basis. After Computer Weekly exposed Hopkirk's connections, he said: "I maintain a strict firewall between the different activities I am engaged in. "I do have a longstanding relationship with Microsoft, purely on the basis of my consistently neutral, pragmatic, end-user oriented and supplier-agnostic perspective. "I have supported, and continue to support, open markets, open standards and free/open source software for their contributions to furthering interoperability and IT market competition. "I have not been asked to publicly or privately support any client brief or position in the government consultation." “We respect the Cabinet Office’s decision and look forward to continued constructive participation in the Open Standards consultation. Microsoft will make its consultation submission in due course, as will many other organisations, and that submission will be made publicly available. to the new real world!